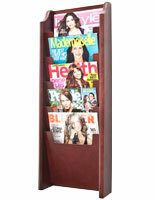 These sign holders feature one poster frame and an acrylic literature pocket. These sign holders are TALL (8 Feet), and single sided with a large, front loading 22" x 56" snap open graphic holder. 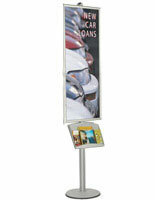 Both the snap open frame and acrylic pocket are height adjustable along the entire sign holders pole. 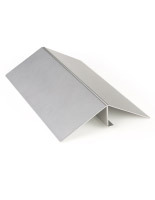 This sign holders display line is made of sturdy brushed aluminum with a wide stable base. 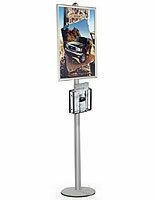 Standing at an eye-catching 8 foot height, these sign holders grab attention in high traffic areas. 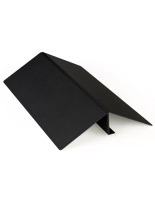 These sign holders are suitable to promote products and events in high traffic indoor areas. 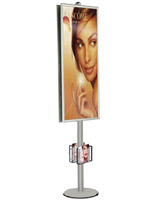 Sign holders, also known as poster stands, make a big advertising impact in a minimal amount of floor place. The snap frames are easy to use. Simply snap open all four edges, place the graphic behind the clear plastic lenses and close the edges. Installation and height adjustment of the snap frames and acrylic tray is easily accomplished with the screws on the connector plates at the rear of the frame and acrylic tray. 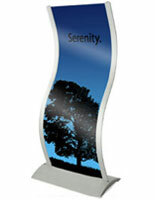 These sign holders are a terrific tool to engage customers with brochures or take away literature. Note: When the poster frame and acrylic pocket are at their highest adjustment, the height of the bottom of the acrylic pocket is 24" above the floor. 9.3" x 8.3" x 2.3"